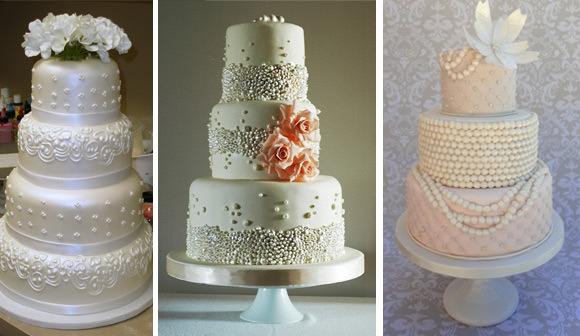 4 Wedding Cake Trends we Love! Designing your wedding dessert isn’t always a piece of cake! You may be taste-testing for the best flavors and textures, but don’t forget about creating a work of art that wows your guests and stands out in photos. 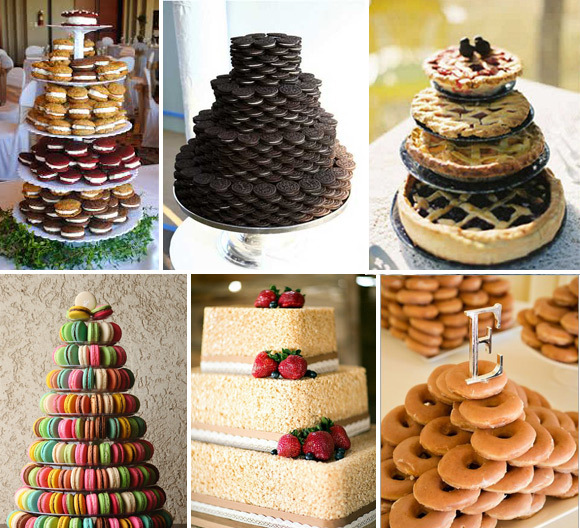 When and where else will a dessert be such a center piece than at your wedding reception? So take advantage of beautiful trends and ideas that showcase your cake with unique concepts and details. Nothing is more bridal than pearls. NOTHING! So, how much more weddingish can a wedding cake get? Pearly details! Whether included frosted beaded details or using frosting or fondant that has a pearly shimmer, this kind of cake is just about as elegant as it gets. Too pretty to eat? Yes! But… that’s not stopping anyone! That’s right, plural cakes. Why have one when you can have more? 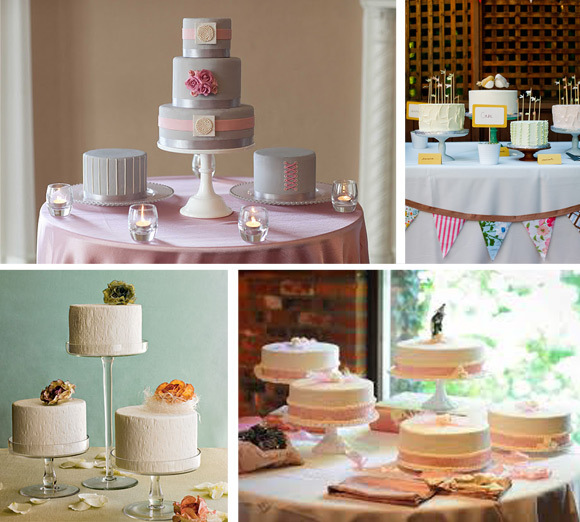 Instead of one multi-tiered wedding cake, disassemble the tiers and display individual cakes. This plan takes up more cake real estate, making for a beautiful spread of confectionary goodness. That also means more opportunities for cute and creative cake toppers! By the way, speaking of cake toppers, don’t forget to add some bling to your spread with Bling Diva Designs. No one’s ever disliked a little sparkle, ya know? Having a rustic wedding? It’s only natural to have a nature-themed cake. Nothing seals the theme more than a wedding cake to tie in the style of your day. And if you want to get all deep about it, your wedding day is the first day of new growth for a new family tree and you’ll those branches grow over the years. And the best part? The cake will look woodsy without tasting like wood! Who says you have to serve cake anyway? Choose to serve what you actually love. If it’s not cake, then think outside the cake box. Fruit pies! Donuts! Cookie cake! Rice Krispie Treats! Whoopie pies! Macarons! 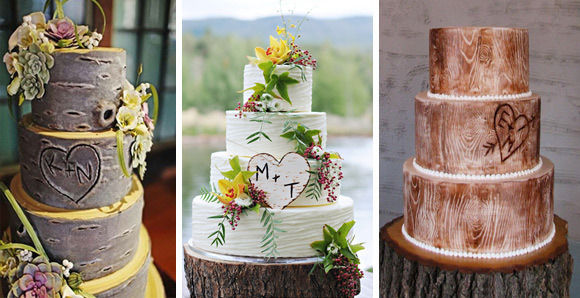 There’s no rule that mandates you serve traditional wedding cake. Find a baker and design your own dessert that represents your taste buds and style.